When it comes to cleaning, Leo’s Cleaners is a reliable source. We offer the best professional cleaning services in Chiswick W4 and have served Londoners for over than a decade. Our professionalism is obvious and our experience speaks for itself. We utilise different methods, which really work. Our working hours allow us to respond to people’s enquiries faster. We are flexible and we do anything for our clients. If you need more proof, just use our company and you will see. We are very committed to our jobs and we work with a desire that only a few people really have. You will never find a better company in London than us. When it comes to our cleaning services in Chiswick W4, there is a great variety of options. In the first pace, we offer a good cleaning service for your home, which covers all household chores such as mopping the floors, doing your ironing, taking out the trash, making the beds, vacuuming all rooms, cleaning the kitchen countertops and much more. The service is called domestic cleaning and is offered long-term. But what if you don’t need a regular service? No worries. We also offer deep cleaning, which basically means we give your home a top-to-bottom clean, focusing on all high-traffic areas and the least cleaned areas. A similar service is our end of tenancy cleaning, but its goal is to prepare your lodgings for new potential renters. This service has a 48-hour guarantee. Among our packages you will also find reasonably-priced carpet cleaning and oven cleaning services. Along with them, we have sofa cleaning. The best part is, all of them are conducted in the comfort of your home. If you are thinking about refurbishing, consider using our after builders cleaning to deal with the dirt and grime renovators will leave behind. And that’s a sum up of our packages. 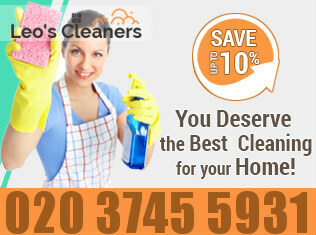 If you are interested in our cleaning services in Chiswick W4, make an appointment and we will come promptly.